Yes, they did – after days of will they-won’t they. Actress Anushka Sharma and cricketer Virat Kohli married in Italy today. 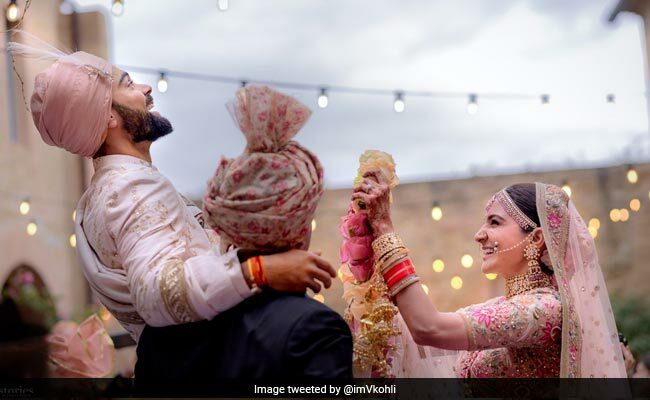 A tweet posted on Anushka’s official account read: “Today we have promised each other to be bound in love forever. We are truly blessed to share the news with you. This beautiful day will be made more special with the love and support of our family of fans & well-wishers. Thank you for being such an important part of our journey.” Congratulations, Anushka and Virat. Anushka Sharma, Virat Kohli had a private wedding ceremony in Italy. The wedding venue was a countryside resort in Tuscany where security had been massively stepped up for the nuptials. Entry to the resort was strictly by invitation. A video of what appeared to be wedding preparations being made at the resort went viral over the weekend. Last week, the Internet exploded with rumours that Anushka Sharma and Virat Kohli had a hush-hush wedding in Italy planned – the actress’ spokesperson said there was “no truth” to the reports and continued to deny the wedding rumours, right up until Anushka Sharma was photographed at Mumbai airport with her parents and brother Karnesh on Thursday night. They were believed to be flying to Italy via Switzerland – the entourage was reported to include a priest. Despite denials, Anushka’s father was reported to have invited neighbours from his Versova apartment block to the wedding. Designer Sabyasachi Mukherjee was reportedly in charge of the bride’s wardrobe. 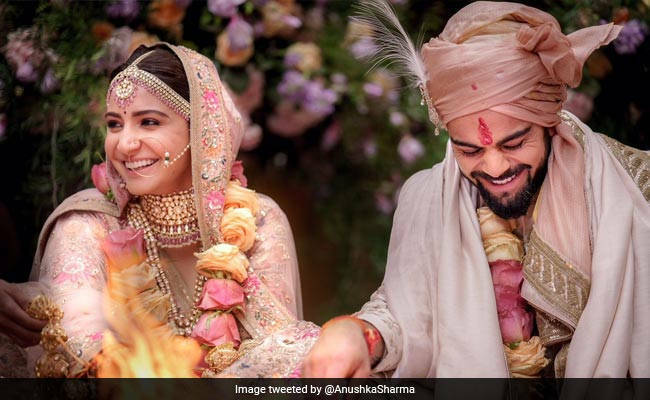 Rumours that Anushka and Virat, both 29, were already married were prompted a tweet posted by a sports journalist over the weekend. However, conflicting reports on Monday suggested that the wedding was scheduled for later this week and that Shah Rukh Khan, Aamir Khan, Sachin Tendulkar and Yuvraj Singh would attend. A wedding reception has reportedly been planned in Mumbai later this month. Anushka Sharma and Virat Kohli have been dating for several years after meeting on the sets of a commercial. They often post messages to each other on social media and are pictured attending social events together. They were last spotted at cricketer Zaheer Khan’s wedding actress Sagarika Ghatge.